You hear about motor oil all the time. After all, oil changes are the most regular car maintenance most people will ever experience, no matter if you’re doing it every 3,000 or 5,000 miles. 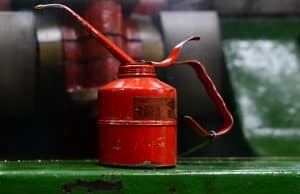 What’s the difference between synthetic motor oil and conventional motor oil, and which is best for you? Here’s the truth: both synthetic and conventional motor oils are made from the same thing. The difference is that synthetic oils have been refined to remove more impurities. Pros: Synthetic motor oil lasts longer and generally gives better performance. It burns away moisture and impurities better than conventional and will last longer in cold weather. Because it lasts longer, it works out to be slightly better for the environment because you’ll use less. Cons: Your pocketbook will feel the pinch! Synthetic motor oil is more expensive than conventional. Pros: The price! It’s hard to disregard how much more budget-friendly a single container of conventional motor oil is. Cons: Pretty much everything else. Not only that, but some manufacturers require synthetic motor oil in newer models, lest you violate the warranty. Remember, no matter what kind you use, you can mitigate the environmental impact of used motor oil by making sure yours gets properly recycled. Ultimately, the kind of motor oil you use in your vehicle is up to you. We love to talk cars at U Wrench It, so come on down to our Norcross location and chat with us about which you prefer and why!